Globally, we have Polio on the ropes. It's been eradicated in countless countries across the globe. It should only be a matter of time before it goes the way of Smallpox. But there are a few hold-outs, where the virus is stubbornly hanging on. This story is about a virus's last ditch effort to survive. Up until 2010, Pointe Noire, a bustling trading hub for the Congolese oil industry, was thought to be free of the polio virus. That was until paralysed patients began to appear in hospitals around the city. Polio had stumbled in amongst the other imports, and had begun to wend its way through the cities population. The people of this city were particularly vulnerable to a Polio outbreak. Many had not been vaccinated as children, in part due to civil wars in the 1990's. 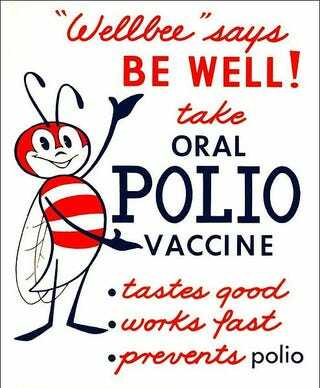 At first glance, there is nothing suspicious about the re-emergence of Polio, it was an accident waiting to happen. Except, there were a few facts that didn't fit. This outbreak seemed more severe than a traditional Polio outbreak, in spite of 49% of patients having received to full course of vaccine. If the vaccine was effective, then how could these people have gotten the disease ? To get answers, researchers went back and analyse the blood collected from patients during the outbreak. The first thing to check was whether these patients were vaccinated. If you have an antibody "titre*" value of greater than eight, you probably have lifelong immunity to Polio. At least that's the theory, because according to these graphs, most of these polio patients should have had that immunity. Instead, they were all fatal cases of Polio. Something was badly wrong. They needed to take a deeper look at the virus. The researchers were able to detect the presence of Poliovirus RNA, and sequenced the whole genome of this virus. They discovered that this strain had mutated, so that it was surface was different from the vaccine strains of polio. This is bad news. Vaccines work by training the immune system to recognise specific strains of Polio. So when they are exposed to the virus for real, they can quickly detect and destroy it. However the surface of this new strain of Polio is different enough to allow it to slip past the immune system undetected. The researchers tested whether antibodies from individuals freshly vaccinated could neutralise this virus. They tested the blood to see how reactive their antibodies were to either the vaccine strains, or to the brand new strain of polio. These antibodies were much worse at neutralising the new strain of polio than the vaccine strain. I mentioned earlier that a titre value of 8 is generally thought of as enough to fight off known strains of Polio. Those antibodies were (on average) four times less effective against this new strain of Polio. This leaves roughly 30% of people vaccinated against polio vulnerable to this new strain. That is, if they were vaccinated a long time ago. There is a bright side. Shortly after vaccination, your body produces a high level of antibodies against Polio. Which means people who have been recently vaccinated against the vaccine strain have a better chance of fighting off this new strain. This was how the 2010 outbreak was brought under control, even though no-one at the time knew the magnitude of what they were dealing with. They immediately rolled out a new vaccination program, targeting the whole population. This boosted the immunity of the population enough for them to bring this outbreak to a close. It was over before we could even panic about it. This strain didn't originate in the Congo. It's likely that it evolved in Asia, in the countries where polio is endemic, like Pakistan and Afghanistan. So there is a chance that we haven't heard the last from it. Poliovirus is under pressure to evolve resistance against vaccines, and as we push it closer to the edge, we may see more vaccine resistant strains emerge. This paper suggests that they could cause a lot of damage if they enter populations like ours. But it also shows that they can be defeated. Now we know they're out there, we can be prepared. We can win. *Titre is a unit of measurement for antibodies. Antibodies are counted based on how well they neutralise their target even after they've been diluted. A titre of 1, means that it's still active after it's been diluted. Which is why these are logarithmic values.A titre of of 3 is double the size of a titre of 2, and so on. Figure 1 From Drexler at al. (see above) with title added and green zones to make the threshold for antibody immunity against polio clearer. Validity Report 4/5- Trustworthy. The minor errors are annoying, but don't affect the conclusion. For what they needed to do, for the most part they provide strong evidence. I have to deduct points because of the statistical presentation. They use the Wilcoxon signed rank test, which is designed for comparing two groups, seemingly to compare three groups, in which case the p-value threshold needs to be a lot lower than 0.05 before you can call these results significant. The p-values they get are >0.001, so this error doesn't actually affect the outcome of the paper, but bad methodology is still bad methodology, and I can't ignore it.